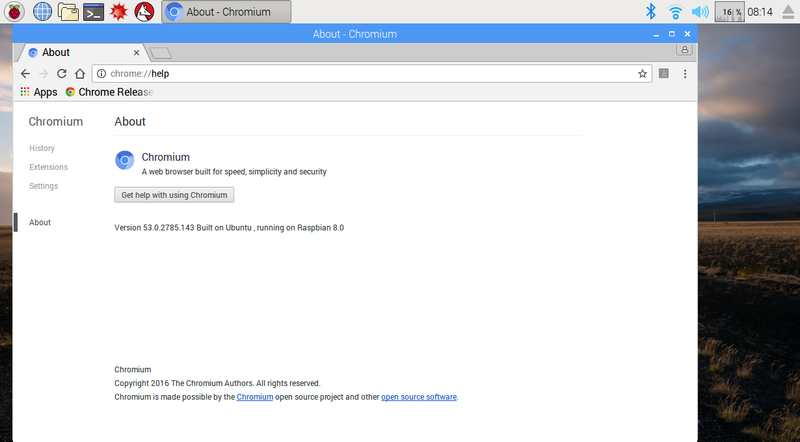 All “Install Chromium on Raspberry Pi” posts are now obsolete! In the past, I have made a lot of “How to install Chromium on Raspberry Pi” posts. Now these posts are considered obsolete because a Chromium for ARMv7 and ARMv8 installer is found at https://coolchasgamer.wordpress.com/chromium-arm. Hi! To install Chromium on your Pi 2 or Pi 3, look at https://coolchasgamer.wordpress.com/chromium-arm! Hey Epic, how did you come up with the code for the installer? Also, this may seem a silly question, but what’s the difference between ‘wget’ and ‘apt-get’? I should probably know this, but I don’t. Hi newsordice! I have now updated the installer. Find it here! am getting error 404 (not found) on first wget. got 404 (not found) on first wget.